In December we held an event at thinkspace about personal branding. Alec Mountain, Meetup host and Founder of Product Blitz, shared insight and tips about personal branding: “the brand you build around yourself and ultimately, the reputation people come to know and expect from you.” Alec explained that reputation can make all the difference in helping you land more opportunities, create better connections, and live a more fulfilling lifestyle. The personal branding trend can drive benefits to your company. Though I’m not a marketing professional, I do have fairly strong research skills and thought I’d invest some time into learning more about this trend. What I found was that there were three overarching themes in how to strengthen your personal brand: be an expert, be authentic, create content. Be an expert. What are you you good at? What do people know you for? If you are able to answer this question, than you solved the first challenge, but now make sure you truly are an expert on it. Read about it, write about it, practice it. Your niche is out there and when you can dial in on the thing you are expert about, they will be out there looking for you. The more specific, the better. Imagine being in need of a vegan marathoner health coach (shameless plug). There can’t be too many of those out there and to dial that into my SEO will help those searching for me that much easier. Be authentic. Speaking about your own experience can go a long way. Not only will followers and potential customers feel a connection to you, but they will also learn to trust you and your suggestions. That being said, content shouldn’t always be about marketing and trying to be “salesy.” Followers are interested in seeing what you do in your downtime, whether it’s hiking, snowshoeing, standup comedy, or where you eat. For example, if you recently tried the new baked potato restaurant in Ballard, Papas Hot Potatoes, and want to scream about how exciting the menu is, make sure to share about it. Create content. Without content, what do you have to share? Without content, what expertise are you able to offer? While blog posts such as this certainly count towards content, the ease and popularity of videos on Facebook, Instagram and Youtube make it a popular choice. Experts in the field claim it as the hottest piece of content to produce. Personal branding experts tell you to come up with a purpose for your video; choose whether you want to educate, entertain or inspire. I’ve created a few videos helping clients learn to cook basic meals, helping them overcome the initial intimidation of cooking from scratch. Whatever the purpose, it’s most important to simply have one. Ultimately, personal branding is a vehicle to help build brand awareness and help you reach your goals. 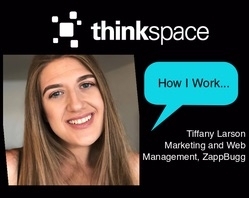 If content creation or personal branding is something you are passionate about, I’d love to hear what kind of content you create and invite you to share your expertise with the thinkspace community. Is your expertise in another area? I invite you to share it with us in your own guest blog post! 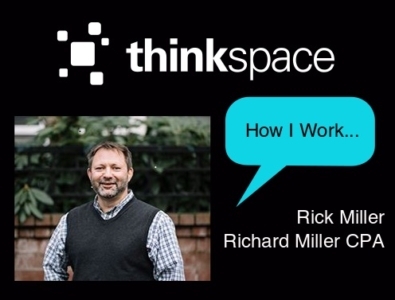 Email thinkspace and let us know you’re interested. https://thinkspace.com/wp-content/uploads/2013/11/website-thinkspace-logo-teal-155x69.png 0 0 Stephanie Slaton https://thinkspace.com/wp-content/uploads/2013/11/website-thinkspace-logo-teal-155x69.png Stephanie Slaton2018-12-13 13:42:252018-12-14 10:25:45Should You Be Focusing On Personal Branding? 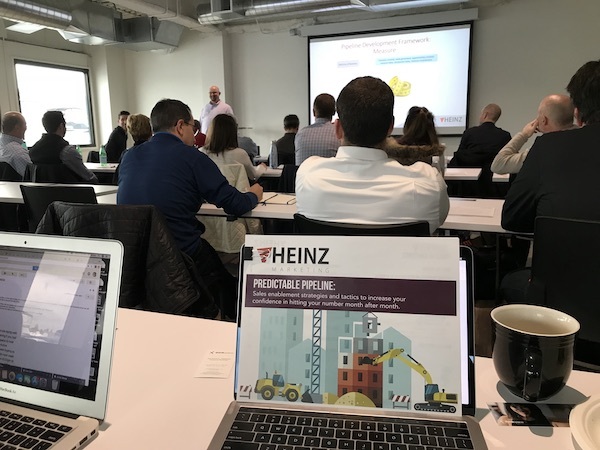 Recently, I attended a workshop on Building a Predictable Sales Pipeline by Heinz Marketing. The focus was enablement strategies and tactics to increase your confidence in hitting your number month-after-month. The speaker was Matt Heinz who has over 20 years of marketing and sales experience translating strategy into execution and building a framework that allows your company to generate a net-new sales pipeline with predictability and at scale. During the workshop, one of my questions was in a “boiler sales room” how many prospects does a sales person have to reach out to every single day, Matt’s response was 130-200 but you can’t have productive conversations. Since I’m not interested in creating a sales boiler room, I asked, what is a reasonable number of people that a sales person should be reaching out to on a daily basis? Matt said, that 40-50 people is considered to be reasonable. This is the first time that I’ve heard anyone say a specific number. It’s 40 per day. If you expect your sales people to reach out to 40 people per day, you’re going to need to have a good process. That means you’ve defined things well and you have a good sales sequence. Without a sequence that the team can follow, you’re going to end up with randomness, uneven results, and something that isn’t predictable at all. 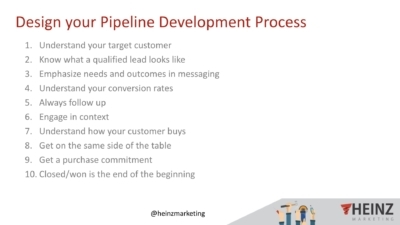 Sales sequence steps are things like 1) phone call. 2) voice mail. 3) email. 4) social media channels like LinkedIn, Facebook, Instagram, Twitter. 5) newsletters. 6) invitations to events. How many steps are in your sales sequence? 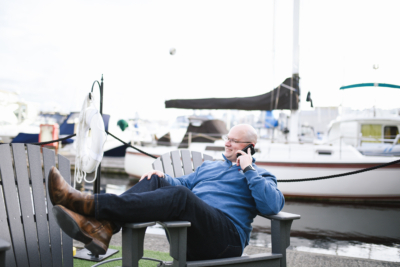 There’s a lot more which was covered by Matt and I’ll continue to blog more about that but I wanted to first touch on the number of prospects that your sales and business development people are reaching out to every day. 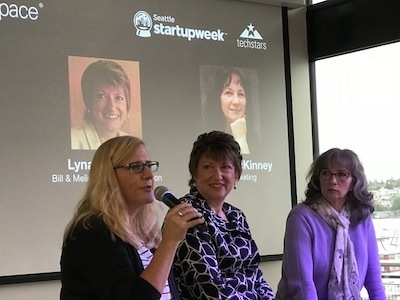 Seattle Startup Week is a week long celebration of entrepreneurship in Seattle. On October 9, 2018 we hosted an event that focused on Executive Assistants with panels of EA’s from small startups to large tech companies. Those in the field know an executive assistant is the unsung hero of the office who is running the show. Executive assistants spend countless hours anticipating the needs and supporting their bosses to make the CEO look good and of course to keep him or her organized. Though there are endless professional development and conference options for any given profession, executive assistants don’t have much to depend on in this arena. 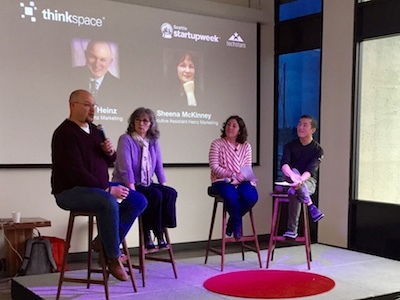 Peter Chee, CEO and founder of thinkspace, and his EA, Stephanie Slaton, decided to take on the task of bringing together EA’s from all over the Seattle area and create the opportunity for a shared learning experience. The first two panels included amazing Executive Assistants from Amazon, Bill & Melinda Gates Foundation, Rover.com, Heinz Marketing, and Moz, and excitingly the final panel highlighted both the CEO and EA from Heinz Marketing, to capture how to best partner in this role. We were able to transcribe Matt Heinz and Sheena McKinney’s responses to this final panel and have shared it below. Head over to the livestream links to all three of the panel discussions to hear more! Sheena: I watch a lot of HGTV and Food Network, but I must confess…. with emphasis on the word “guilty” vs. “favorite” … I watch The Bachelor. I know. It’s embarrassing. My own brother almost disowned me when he heard I watched the show. Sheena: I’m pretty task oriented so I tend to think about things I need to do. I press the home button on my mounted-hands-free iPhone and tell Siri “add eggs to my groceries list” or “remind me tomorrow at 10 o’clock to update the spreadsheet”. I will also say– on the way to work I listen to the radio in my attempt to keep current and on the way home I listen to my book club books on Audible. What is a hidden talent you have that has come in handy at work? Sheena: I find writing comes easily for me. I’m able to send off emails without too much thought and occasionally I get to write blog posts for our blog. Matt, one of the key reasons Peter was hiring an EA was to open up time, 5 hours a week specifically. What are your top reasons for hiring an EA and how has hired Sheena changed the way you work? Matt: Having a great executive assistant can make you literally 3-5X more productive than you can be on your own. It’s not just taking stuff off your plate, it’s delegating those things and having them done better, faster, smarter. And when I focus on the right things, it has an exponential impact on my business. What are your work styles and how do you compliment one another? We are both zero inbox people. I’m so addicted to the freedom of this approach I’m also a zero-saved-texts person. Anything I might need from a text I copy/paste/save elsewhere. For sentimental conversations like a mushy note from my husband or a screen full of emojis from my granddaughter, I take a screenshot and save it to my photos. The way we approach tasks and information is very similar. Matt is a David Allen “Getting Things Done (GTD) guy and I originally learned the Franklin Covey system back in the early 1990’s (when Matt was about 14 years old— which makes me feel really old!). 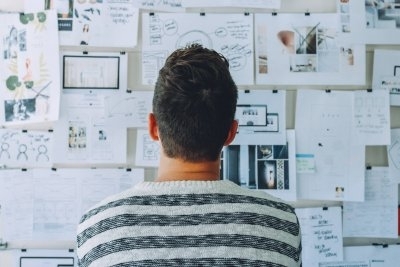 There are a lot of similarities, especially in GTD’s Five basic steps. I’m naturally more here/now minded and less future minded. Matt’s really good at short, mid, and long term planning and goals so I think we compliment each other here. I’m more detail oriented (not that Matt isn’t). Matt: Before we hired Sheena, our HR consultant told me I needed to find someone who would take an assignment and think through the next 4-5 steps to get it done (vs me having to telegraph it). Sheena does that really well and isn’t afraid to come back to ask for further detail. We also have our own hidden language of sorts. For example, I’ll reply to someone telling them I’m happy to grab an intro call with them and copy Sheena. Sheena knows that means a 30-minute call, knows when during the day to avoid scheduling it, etc. These levels of efficiency take time but they add to the extreme benefit of having an EA. Expectations are important and communication is key. As the Executive Assistant, how do you set expectations with Matt? How does he set expectations with you? Sheena: Yes, communication is key and we are in almost constant email communication. Our weekly 1:1 meeting is also a key way to set and communicate expectations. Sometimes, we’ll email each other prior to our meeting when the list is longer and/or needs some previous thought or research. Our annual review is really helpful in setting goals and areas of improvement. How do you decide when it’s appropriate to use “short but sweet” communication vs. detailed communication? The key word here is “decide” I naturally lean toward too much detail but I’ve learned to be as succinct and concise as possible at all times– because of whom I married and because most of the exec’s (current one included) strongly prefer “short but sweet”. I sometimes (literally) will reply to an email with “Short Story:……….and list the info. with bold fonts, underlines, highlights, etc. and below that, “Long Story:…. And then list out all the detail and back story… knowing full well he may not read it… but it makes me feel better and in some cases, if he questions the short answer… the longer one will help him understand why I arrived at my conclusion/decision. Sheena: Plan A is to always try to solve the problem. 1.) I have self-sufficiency issues, 2.) It’s my job to gate keep and let Matt do what he does best. If it’s a completely new issue where I do not have previous experience from which to draw, I’ll ask for help… sometimes from one of our VP’s who has been around longer and knows Matt and our business better. If the outcome of the problem could negatively reflect on Matt and/or Heinz Marketing, I will ask for help because I/we care about integrity a lot and I’d rather be safe than sorry. Fortunately Matt is good and quick at making decisions and is so approachable I feel pretty free in asking when I do need to ask for help. What have you found to be the most effective way to work together? Sheena: Open, continual communication is key. I truly want feedback, the good, the bad, and the ugly. We’re both comfortable with fierce conversations. Also believing and assuming the best is important. Mutual respect and expressing appreciation is crucial. At a previous job I had no idea how I stood with my boss. It wasn’t until months into the job at the company Christmas party (and the alcohol was flowing) I found out from my co-workers how much my boss appreciated me and was glad he hired me. Matt does a great job of showing appreciation and confidence in me and that’s priceless. We have startup founders and CEOs in the crowd today too, what advice can you give about how to hire and onboard your EA. Matt: Do what I did, start the week by making a list of all the things you do that someone else could do for you. Next to that write how long it took. At the end of the day look at how many things and how much time is reflected, and consider the opportunity cost of what you could have spent that time doing. It won’t take you long to do the math and start the hiring process! Do you walk? Do you run? 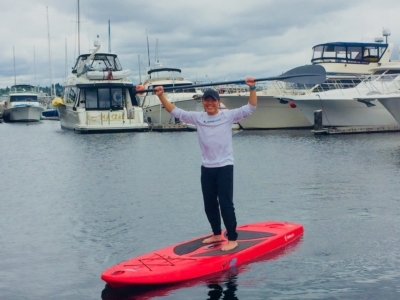 Did you know that IRONMAN, who acquired Rock ‘n’ Roll Marathon Series in 2017, has been a part of the thinkspace community since May? 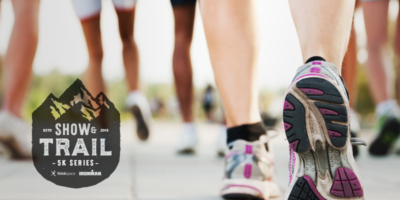 Come join IRONMAN, the thinkspace team, and colleagues throughout the community October 10th to get outside and move! We’ll be reassembling at thinkspace post-run for electrolytes and refreshments before gearing up for your evening of events or relaxation. What’s “Show & Trail?” A co-hosted 5k with thinkspace and IRONMAN, the “Show” gets to showcase the amazing community at and around thinkspace. Grit + Resilience is something that entrepreneurs embody, and this is something that won’t only show up in the way you do business, but live your life as well. 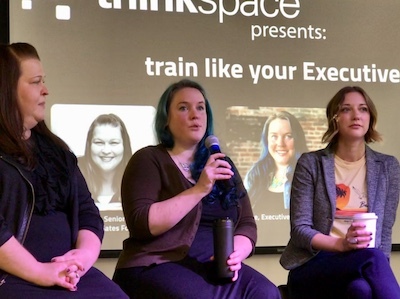 Before the group heads off for a 5k walk/run/jog, our “Show-ers” will introduce themselves, their company, Grit story, and why they chose to become a part of the thinkspace community. We believe these are all profoundly connected. I’ve analyzed where my time is going and I’m excited to hire an EA! https://thinkspace.com/wp-content/uploads/2013/11/website-thinkspace-logo-teal-155x69.png 0 0 Peter Chee https://thinkspace.com/wp-content/uploads/2013/11/website-thinkspace-logo-teal-155x69.png Peter Chee2018-05-05 13:58:262018-05-05 14:03:54I've analyzed where my time is going and I'm excited to hire an EA! 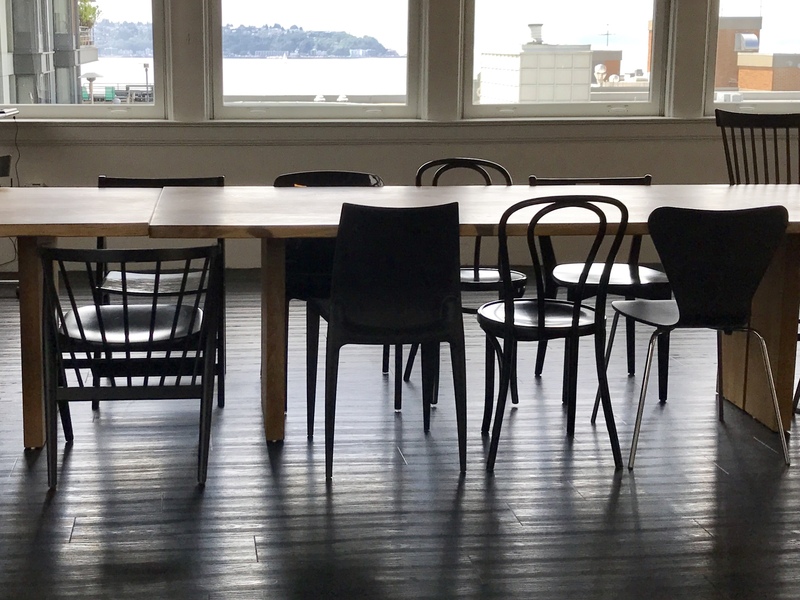 We’re down to the final stretch before our March 1st Lake Union launch. From the work side we’ve only got five offices left before we hit 100% pre-lease occupancy. We’ve got twelve days or 244 hours left! From the personal side, I’ve run two half marathons in the last two weekends and tonight I went for a swim and covered 120 lengths, 3000 meters, or about two miles. Mentally and physically, it’s time to give it all we’ve got. Be strong, maximum effort, set a new threshold, and get across the finish line.